The Lumix DMC-L10 is Panasonic’s second digital SLR, and unlike its debut model, this one’s aimed squarely at the consumer market. 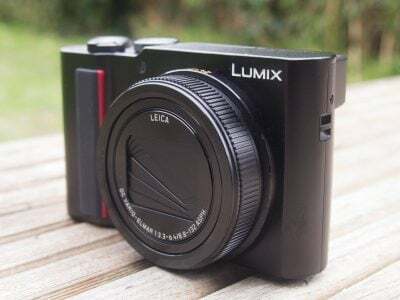 Launched at the IFA trade show in Berlin during August 2007, the new L10 shares little more than a lens mount with Panasonic’s debut DSLR, the somewhat esoteric L1. So while both models are based on the Four Thirds standard, almost everything else is different. The new Lumix L10 sports the same 10 Megapixel N-MOS sensor as the Olympus E-410 and E-510 models, equipping the camera with Live View facilities. Making these much more useful though is the L10’s flip-out screen – the first we’ve seen on a DSLR since the Olympus E-330. Panasonic has further exploited the benefits of Live View to support contrast-based AF which allows the L10 to focus during Live View without flipping its mirror back and forth. The L10 even supports Face Detection – a first for a DSLR. While the Lumix L10 can use any lens designed for the Four Thirds system, you’ll need a special model to support contrast-based AF. Panasonic’s equipped two models to do so: the highly anticipated Leica 14-150mm super-zoom and a new Leica 14-50mm f3.8-5.6 kit lens designed especially for the L10. 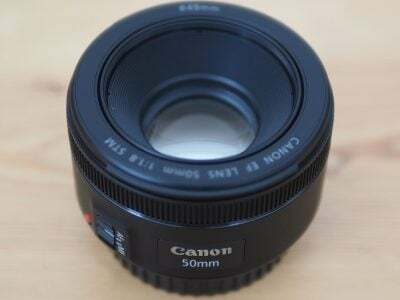 Both lenses also feature optical image stabilisation. Other Four Thirds lenses still work with the L10 in Live View, but fall back on the traditional phase-difference AF technique which involves the mirror being flipped back down to take a reading. Also inherited from its non-DSLR range is the Intelligent ISO mode which detects subjects in motion and increases the ISO if necessary to allow a sufficiently fast shutter speed to freeze the action. Finally, the L10 employs the now-legendary Super Sonic Wave Filter system to combat dust entering the body. In our tests with Olympus DSLRs on which the SSWF made its debut, we found it was the most effective at hiding dust marks, even if the particles weren’t always physically shaken free. Panasonic’s Lumix L10 certainly looks like a neat option for consumer DSLR buyers and features several unique aspects which separate it from the crowd including a flip-out screen, face detection, contrast-based AF during Live View and an optically-stabilised Leica kit lens. It is however going up against highly established players and also at a higher price than most budget models. In our Lumix L10 review we’ve put Panasonic’s second DSLR through its paces, testing the innovative features including the new Leica kit lens. We’ve compared it against the best-sellers in the budget DSLR market to see how it compares and as always we’ll demonstrate the highlights in our Lumix L10 video tour. 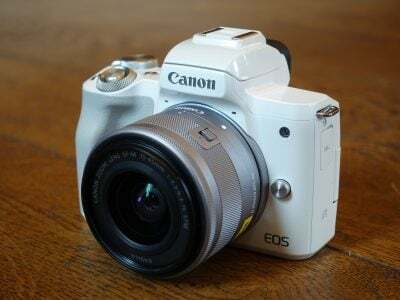 The camera tested was a final production model, running firmware version 1.0 for both the body and lens. Following our convention of using default factory and best quality JPEG settings to test cameras unless otherwise stated, the L10 was set to its best quality Large Fine mode with Auto White Balance and the Standard Film mode. OIS mode 1 was enabled for all handheld shots, and disabled for tripod-based tests.